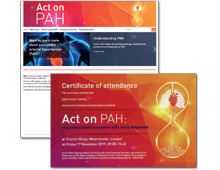 ‘Act on PAH – Improve patient outcomes with early diagnosis’ is a multichannel educational initiative focused on reducing time to diagnosis of patients with suspected pulmonary arterial hypertension (PAH), a rare, rapidly progressive, life-limiting condition. The patient organisation, Pulmonary Hypertension Association UK (PHA UK). ‘Act on PAH’ was developed, with input from PH experts, as a resource for non-PH specialist physicians, nurses and those health professionals involved in echo. The objectives were to increase the awareness and understanding of PAH, and equip target non-PH specialist HCPs with the knowledge and tools to identify and refer patients with suspected PAH earlier, resulting in earlier diagnosis, treatment and improved patient outcomes. The dynamic programme includes a flagship National launch event, an educational website, regional and local meetings, and is supported by KAM field-based activities and digital promotion. 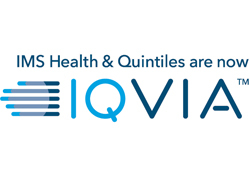 The programme has maximised audience interaction and motivated HCPs to ‘Act on’ their learnings, by implementing immediate changes in referral behaviour and sharing knowledge with colleagues. Patient organisation involvement has helped to bring the impact of this devastating condition to life. The judges recognised that Act on PAH is a strong multi channel programme with good, well-articulated outcomes.